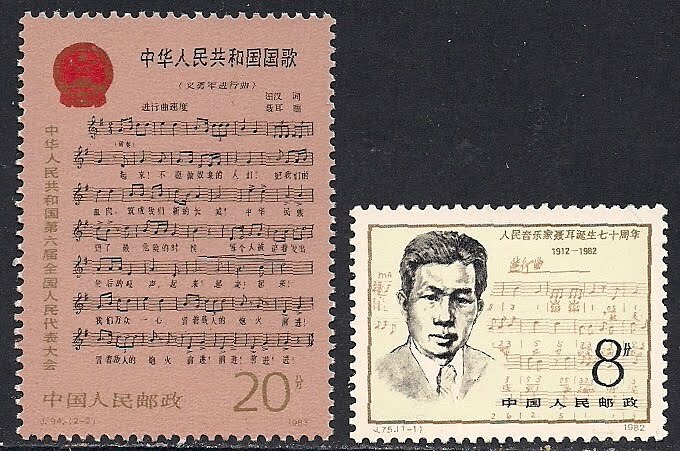 Er Nie(1912-1935), Chinese composer, he displayed an interest in music from an early age, he organized music society during his high school days. In 1931 he played violin for "Minghue Musical Drama School", in 1935 he became the director of the Music Department of Lianhua Number Two Studio. He died in Japan, drawn while swimming, en route to Russia in 1935. He is known for composing the national anthem of the People's Republic of China, the "March of Volunteers".